The Concordia Student Union represents over 30,000 undergraduate students across four faculties and over 300 programs of study. Amidst this incredible diversity, it is a constant challenge to engage in a political representation that can be said to truly represent all of these disparate groups and students. As it stands, the CSU relies on the active participation of students on its council of representatives, the personal contacts and networks of both executives and councillors and the results of elections and referenda that rarely break 10 per cent student participation to get its mandates and positions. While we try to do the best we can, it should be clear that these structures are only approximative, at best, when it comes to saying that our mandates represent all our students. We, as the CSU executive, are as aware of these basic problems in our current structure as anyone else. That is why we spend so much time debating about our electoral process, and how best to promote participation in it. We know that we must bolster our existing processes and structure to better ensure their legitimacy and representativeness. However, alongside those efforts, there is more that can be done. That is why we are proposing a new experiment in student governance that will try to fill these gaps in representation and help students across Concordia develop common positions that we can confidently say represent us in our diversity. We’ve dubbed this new experiment the Concordia Student Congress. It represents an effort to bring together the political representatives of Concordia students from every level of the university, in a single venue, to vote on and adopt consensual positions that represent us all. The fundamental goal of this event will be to try and develop a baseline political program that we can honestly say represents the diversity of opinions at Concordia. That is to say, positions that speak to students in as many programs, departments and faculties as possible. This is an extremely important difference to make, and one of the points that most sets the CSC apart from anything that has been done at Concordia before. As opposed to our elections, referenda and general meetings, the CSC is not targeting individual students at Concordia, but rather the individual political units that represent them. The goal in making this shift is to try and allow for the voices of smaller departments and faculties to speak louder and to carry equal weight in saying whether our positions represent them or not. It is extremely important for the CSC to try and even out the power differences that often skew our political agenda making. We know that certain faculties and programs are much larger than others, and that fact is already well represented in our current electoral system and on council. 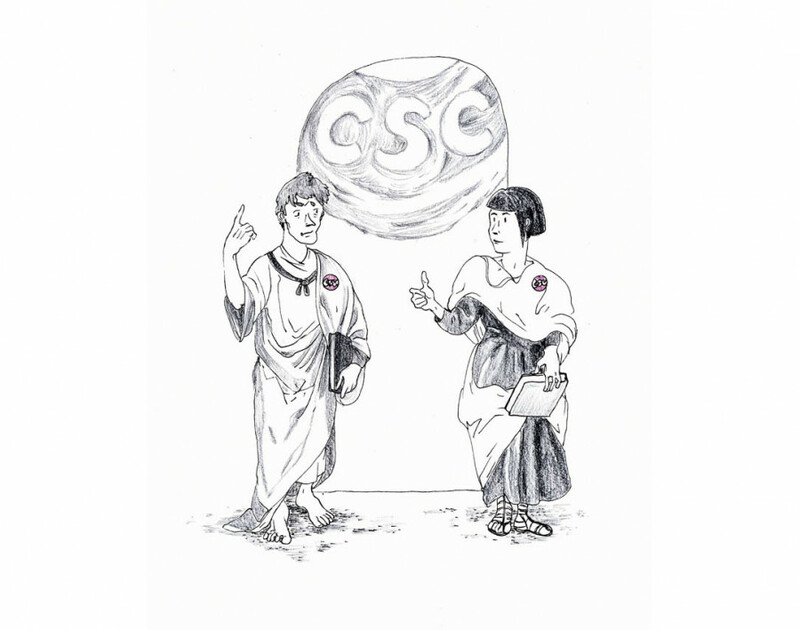 The CSC will therefore operate with a “one group, one vote” system. Because this is an entirely new structure, the CSC would not have any formal decision-making powers; positions that are adopted would have to be looked over by council before anything binding was put in place. Our belief is that, as students, we have just as many issues that unite us as we do that divide us. Our divisive points are already well represented and known, so we want instead to bring our common positions into relief; there are some things we can all agree on. Throughout this week, we will be getting in touch with representatives of each campus group that represents an identifiable student population (at the departmental, faculty and university level) and inviting them to send a delegation to the Student Congress. The process will then be to adopt an agenda for the meeting, consisting of possible positions for discussion, which will be debated and voted on by these delegates. The meeting will use a system of modified consensus to try and ensure that any position adopted at the Congress realistically represents the interests of all, or nearly all of the student groups present, while specifically excluding the possibility of any majority overpowering the voices of other groups who are present. Our goal is to have everyone heard and to get everyone on board. To be clear, this isn’t to say that all of the CSU’s political positions could be adopted in a totally consensual fashion. There are ideological oppositions within our membership that cannot be overlooked, and that must be played out and resolved through electoral politics. The CSC is in no way an attempt to replace or sideline these struggles; it is merely an attempt to complement them and ground them in a common vision that can serve as a baseline for our aspirations as a student body. I’d like to finish this piece with a plea. If you are involved in student politics, if you represent students in your department, or your faculty, please take part in this congress. If you are involved at any level of this university, please get in touch with your representatives and urge them to participate. The Congress is an experiment, and it will depend on all of us to make something happen. For more information and to get involved, contact Academic@csu.qc.ca and President@csu.qc.ca. Gene Morrow is the VP Academic and Advocacy for the Concordia Student Union.